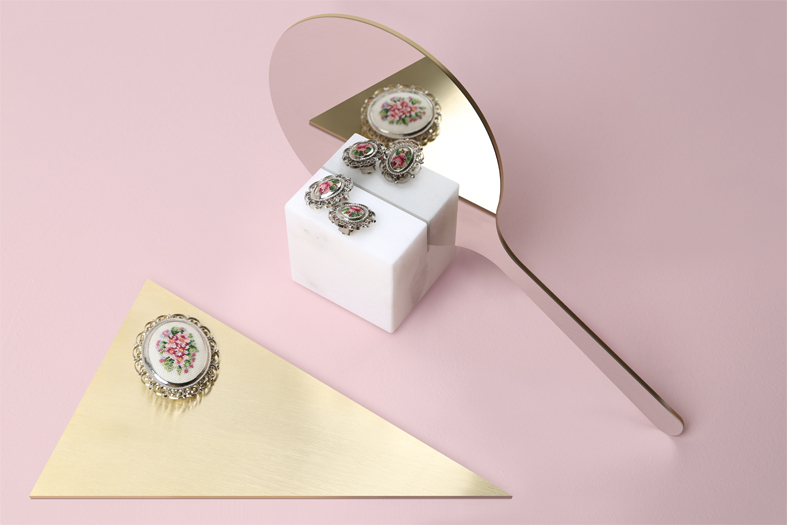 For the Sursock museum store “Ashkal” is a reconstruction to the reflection of a human’s soul on a nostalgic but contemporary design object letting each one of us dive into his own memories or even exporting each one to the old era of early sixties when the Sursock museum opened its door .. 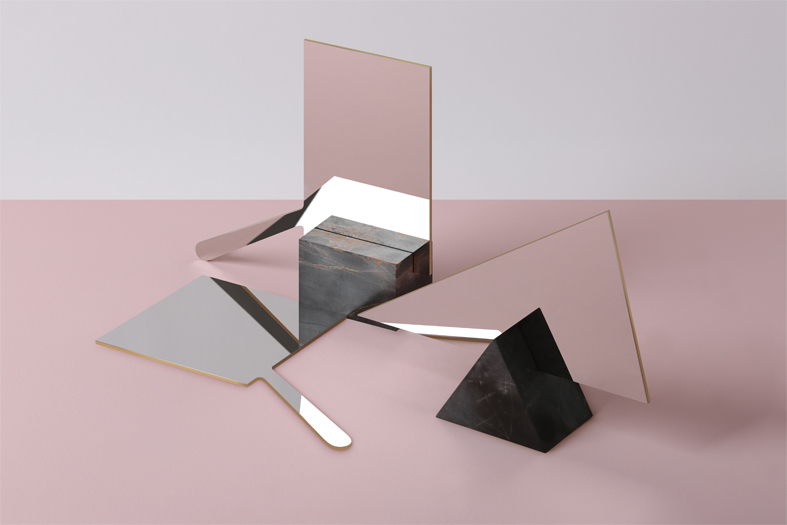 Therefore came “Ashkal” which means shapes or in this case faces, a series of magical yet simple vanity hand mirror mimicking different geometrical flat shapes as a circle, a square, a rectangle, an oval, a pentagon and a triangle as if extracted from the stained glass decorating the façade of the museum, all made of a super-mirrored polished stainless steel sheet fixed on a golden brushed brass pedestal with a twisted vintage feel..
Each one exposed on a static volume made of marble, brass or metal creating the base. 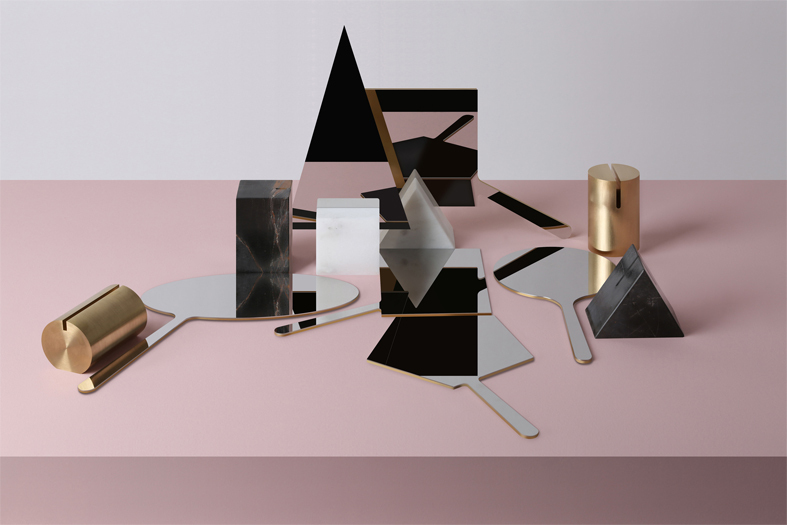 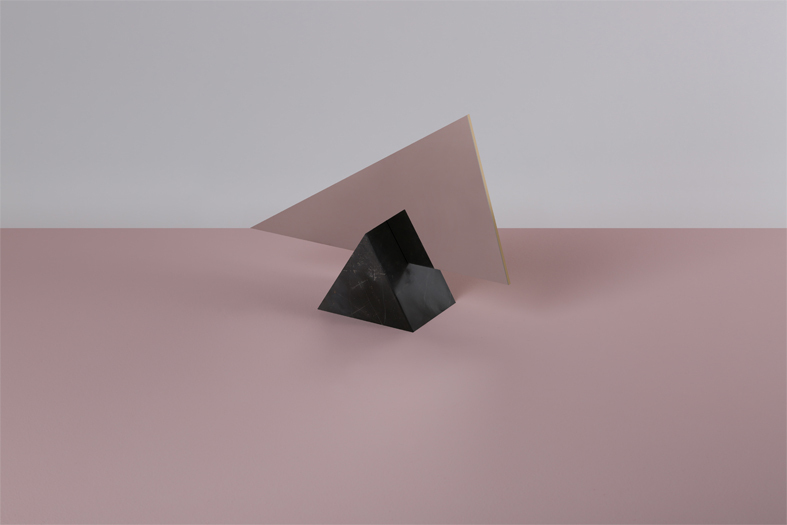 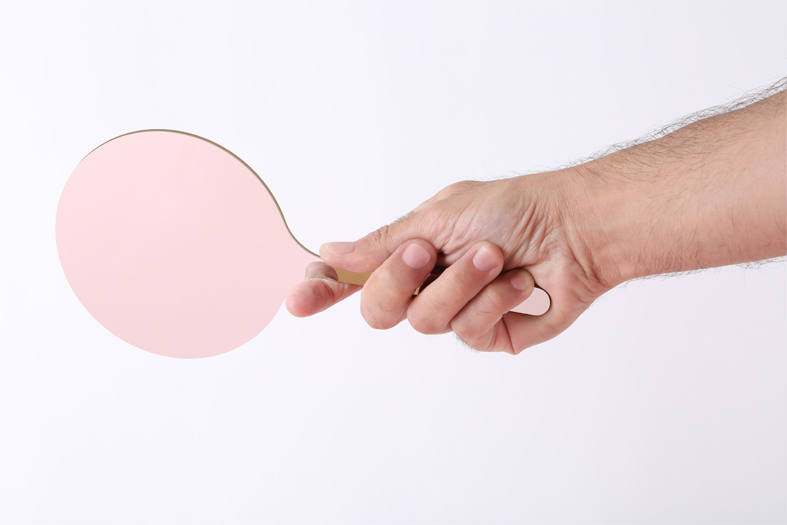 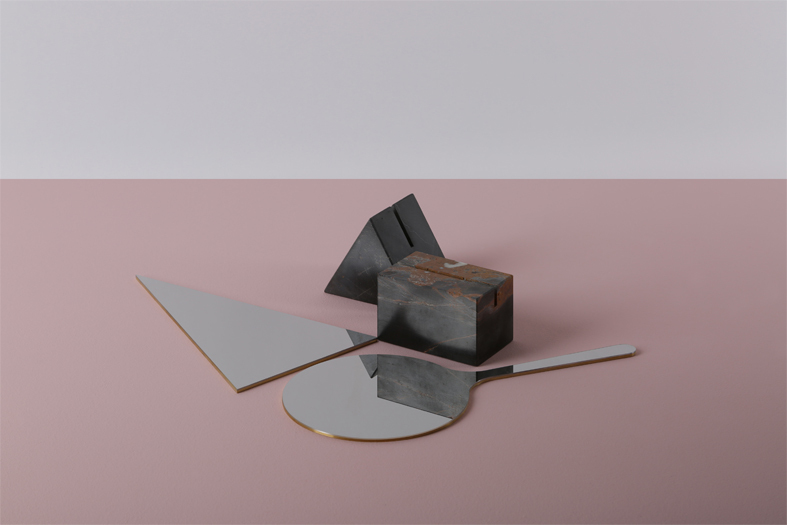 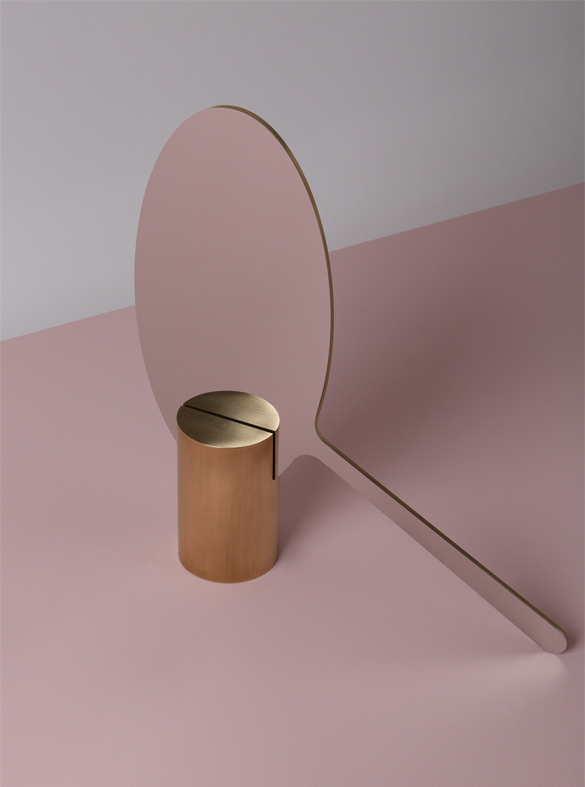 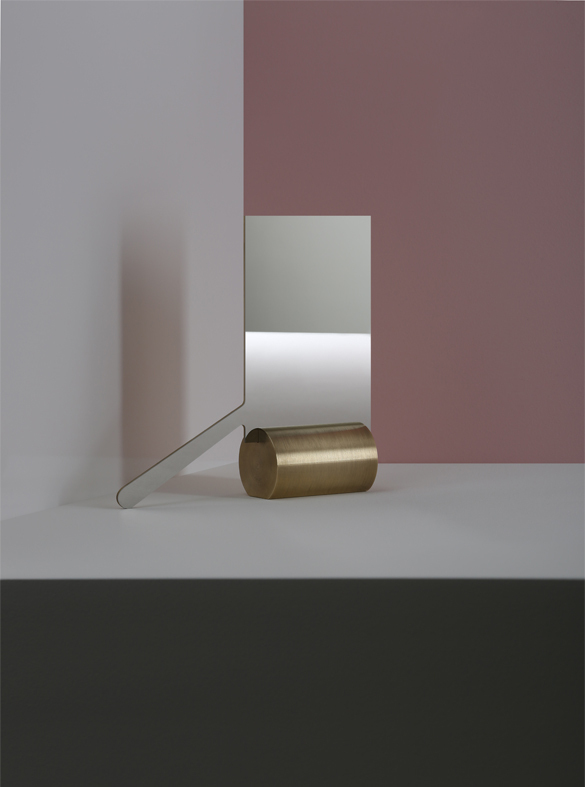 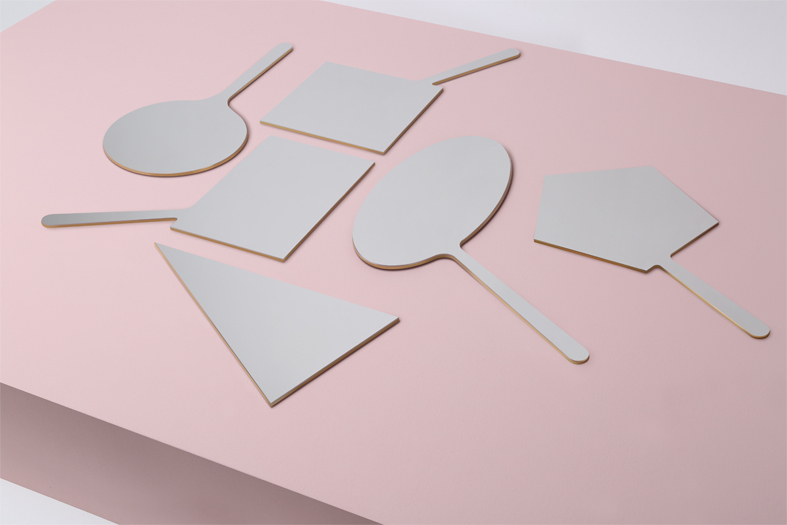 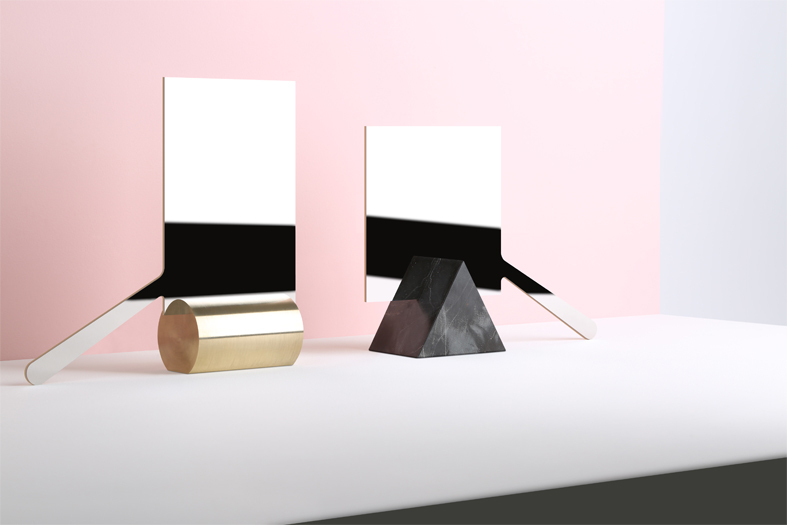 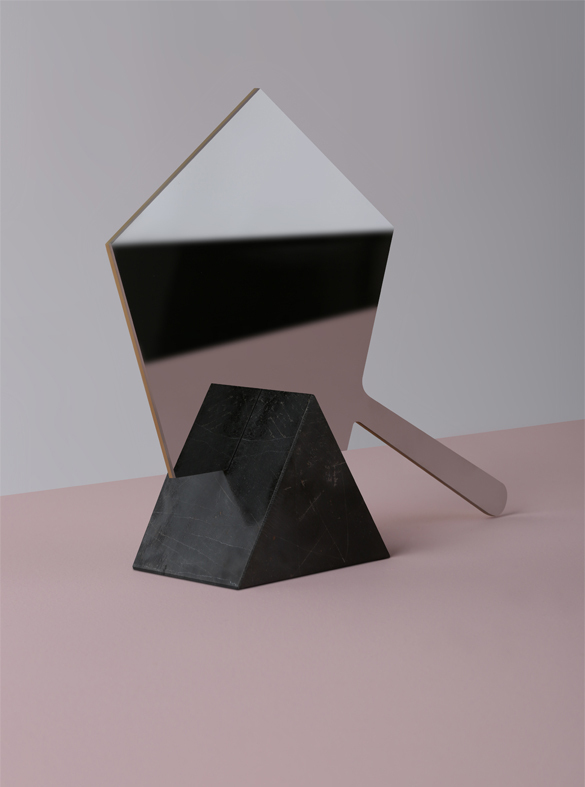 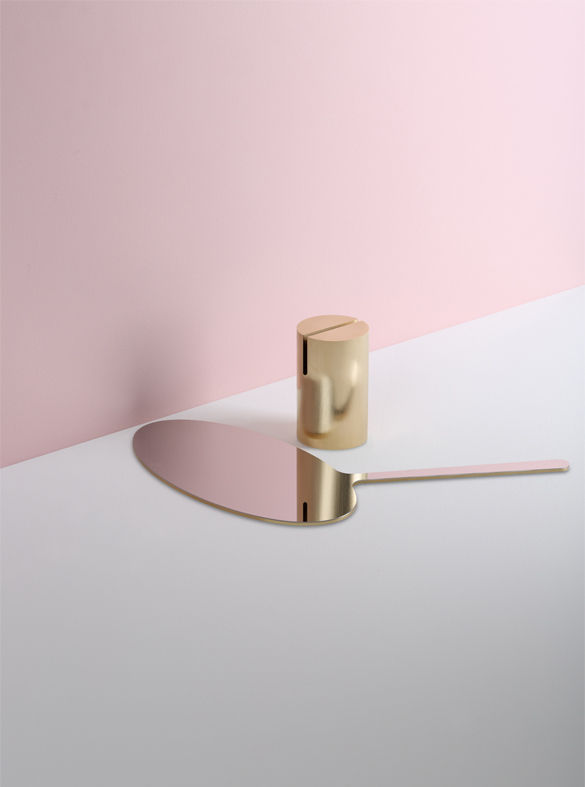 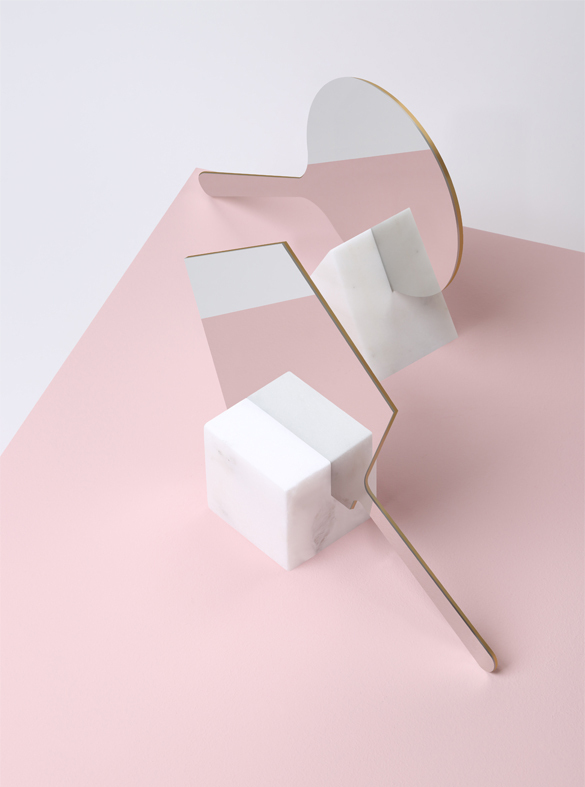 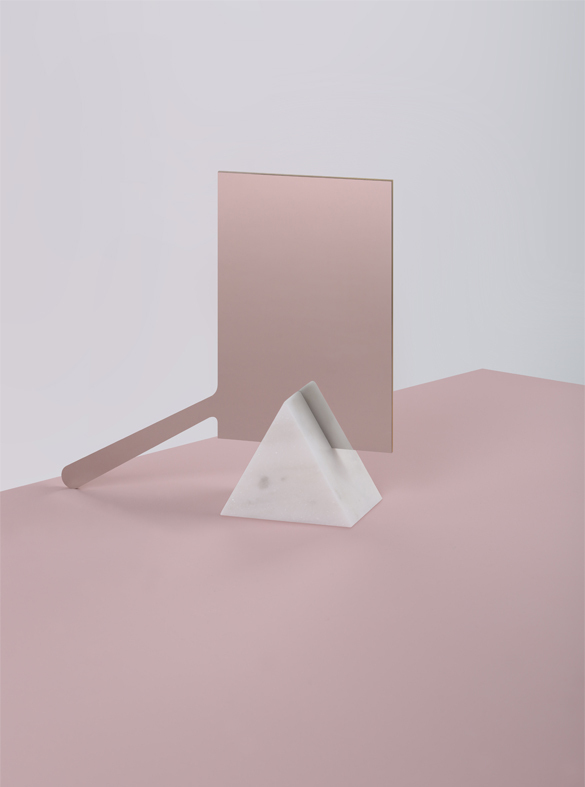 The extremely thin hand mirrors figuratively cut a slice of these solid bases making a rift where it fits inside, giving the image of surrealistic oversized fashionable cutlery set..